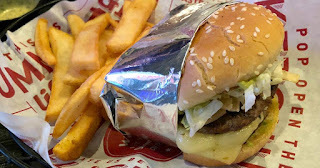 Today only 11/13, Red Robin is offering a Free Tavern Double Burger with Bottomless Steak Fries when you purchase another burger or entree and two drinks! This offer is valid for dine-in only and you will need to mention “Tavern Double Tuesday” to receive the offer. To find a location near you, head here!